External-beam radiation therapy mostly uses high-energy photons (x-rays) produced by medical accelerators, but many facilities now use proton beams, and a few use fast-neutron beams. High-energy photons offer several advantages over lower-energy photons in terms of better dose distributions for deep-seated tumors, lower skin dose, less sensitivity to tissue heterogeneities, etc. However, for beams operating at or above 10 MV, some of the materials in the accelerator room and the radiotherapy patient become radioactive due primarily to photonuclear reactions and neutron capture, exposing therapy staff and patients to unwanted radiation dose. 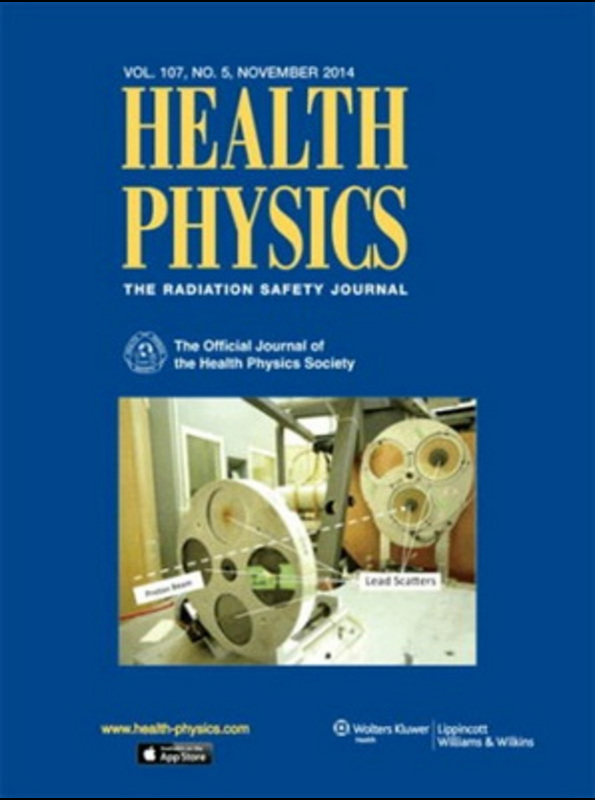 Some recent advances in radiotherapy technology require treatments using a higher number of monitor units and monitor-unit rates for the same delivered dose, and compared to the conventional treatment techniques and fractionation schemes, the activation dose to personnel can be substantially higher. Radiotherapy treatments with proton and neutron beams all result in activated materials in the treatment room. In this report, the authors review critically the published literature on radiation exposures from induced radioactivity in radiotherapy. They conclude that the additional exposure to the patient due to induced radioactivity is negligible compared to the overall radiation exposure as a part of the treatment. The additional exposure to the staff due to induced activity from photon beams is small at an estimated level of about 1 to 2 mSv y-1. This is well below the allowed occupational exposure limits. Therefore, the potential hazard to staff from induced radioactivity in the use of high-energy x-rays is considered to be low, and no specific actions are considered necessary or mandatory. However, in the spirit of the “As Low as Reasonably Achievable (ALARA)” program, some reasonable steps are recommended that can be taken to reduce this small exposure to an even lower level. The dose reduction strategies suggested should be followed only if these actions are considered reasonable and practical in the individual clinics. Therapists working with proton beam and neutron beam units handle treatment devices that do become radioactive, and they should wear extremity monitors and make handling apertures and boluses their last task upon entering the room following treatment. Personnel doses from neutron-beam units can approach regulatory limits depending on the number of patients and beams, and strategies to reduce doses should be followed.